Are you familiar with your parents’ finances? The checking account? Savings accounts? Stocks or IRAs? time when you – or someone else – need to know. after your dad passes away. She’s managed to take care of her personal affairs (mortgage, bills, etc.…) all that time. But, in the middle of the night, Mom falls and breaks her hip. There’s the chance Mom could return home, the doctor says, but there are weeks of rehab in front on her. But, on the other hand, Mom may not be able to go home and needs to go to an assisted living facility or a nursing home. While she’s in the hospital and the rehab facility, life goes on and Mom’s bills have to get paid. If your parent were to fall ill or become incapacitated, someone has to take over paying bills and managing their money. And who’s responsible for that? You. finances. A basic knowledge of their financial affairs is better than no knowledge at all. The place to start is to have the adult conversation with your parents and ask them. 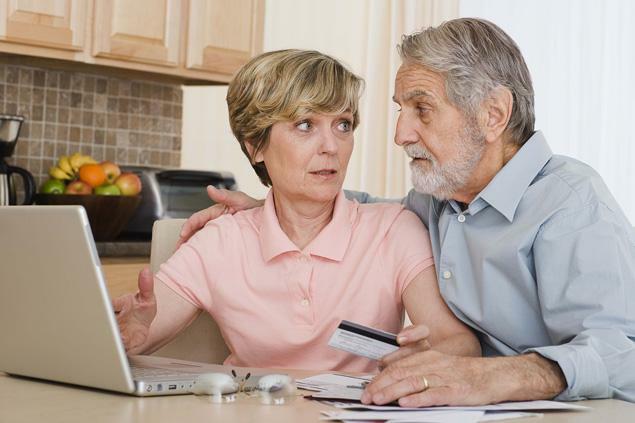 It may take several conversations or a medical emergency to at least get started; the older generation, particularly those who grew up during the Great Depression, are more guarded about their finances than others. But talking starts the process and gives you the answers you require. Now that you’re having that conversation, ask the obvious questions. 1. Do you have Power of Attorney? The first step is to find out if they have named a Power of Attorney (POA). The POA allows someone – you, another family member, a close friend – to act on your loved one’s behalf when it comes to their business affairs. Without a POA in place, you’ll have to go to court to get guardianship of your parent in order to access accounts on their behalf. If Mom and Dad do not have a POA, get one immediately. In the long run, you’ll be glad you got it. 2. Do you have an accountant, financial planner or attorney? Who does Mom and Dad’s taxes, themselves, or a local firm? Have the folks worked with a local attorney? Find out who these people are, and at the very least get their names and contact information. It will help in getting information. in a bank, a safe, in a file cabinet, or under the mattress, you need to know where to find records when you need them. 4. What banks do you use? In addition to knowing where their money is kept, you need specifics on all accounts. What banks do they use? Is Mom’s money all in her checking account, or divided up in savings and CDs and IRAs? Who is their mortgage company? Do they have an investment firm? Again, get contact information. At this stage, it wouldn’t hurt to have your name added to the checking account, so you could write checks, if necessary. Regarding IRAs, check and see if the parents have added beneficiaries. mortgage, car payment, credit card debt, utility bills and other expenses. Some of these expenses may be automatically deducted from Mom and Dad’s accounts, or the folks may be old fashioned and write a monthly check. Either way, you need to know this information. 6. What is your annual income, and where does it come from? What is Mom and Dad’s income? Is it just Social Security, or does one of them – or both – receive a pension? Do they have dividends coming in from investments? 7. Do you receive Medicare, Medicaid or Social Security? If your parent becomes incapacitated, you may have to investigate the status and eligibility of their government assistance. Some government programs also require you to obtain additional permissions in order to manage their account(s). 8. What kind of medical health insurance do you have? Do they have health insurance provided by Dad’s former employer, or have a separate plan? How much do that make a month? determined amount of time. A LTC policy is a provision that’s purchased separately, and it may have been purchased years before. attorney who can properly advise and draw up the necessary legal documents.